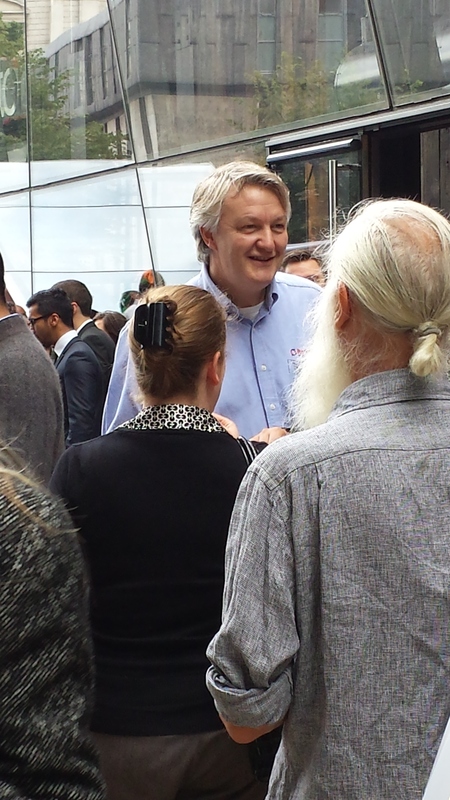 Today, Rentokil celebrates its 85th anniversary in killing animals. 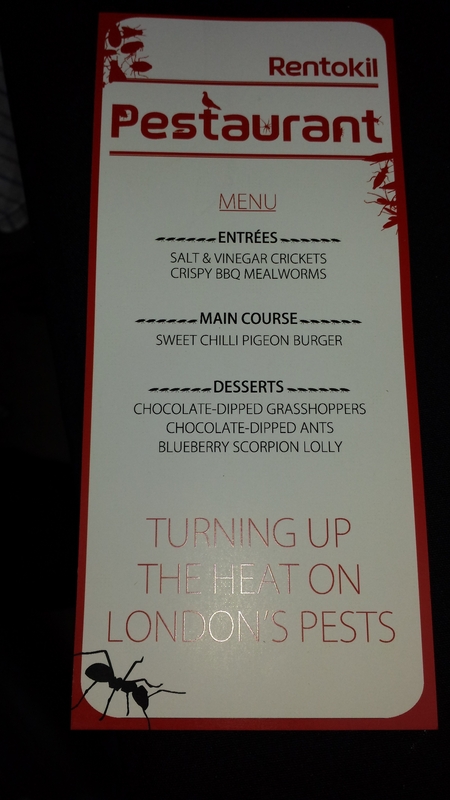 So to celebrate they decided to set up a pop-up restaurant selling Pigeon meat and insects (some coated in chocolate) in the heart of London next to St Pauls. It turns out that the meat actually contains venison, bacon as well as pigeon, not just pigeon meat as it claims (in fact wood-pigeon). 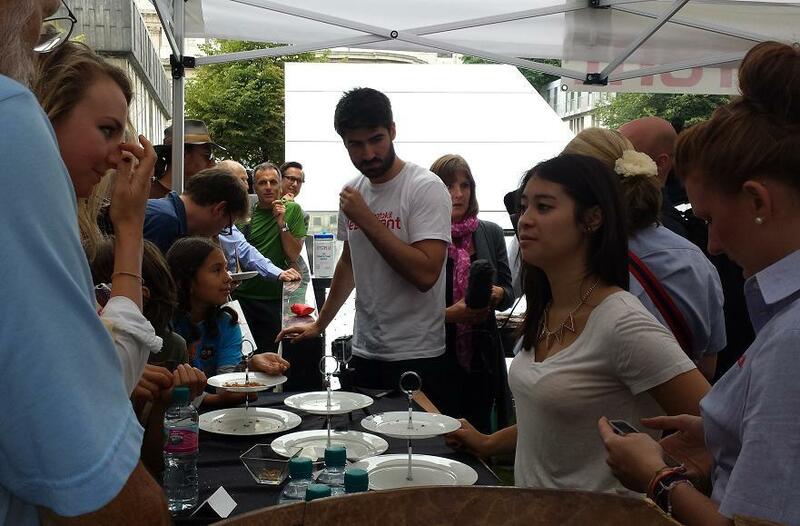 The food being offered was free, hence the queue. People of all colours and backgrounds were intrigued and queuing up. When I asked the tall white-haired chap, if this was legal and where he obtained the pigeons from ? ie Are they from pest control jobs rentokil have been involved in ? He responded “Oh no, we’re not allowed to do that. The chef obtained them” he said with a smile on this face. As usual, anything written as law is always a blurb, you need to wear 6 different hats to make any sense. In essence you are not allowed to harm or shoot wildlife, but if you have a licence (The DETR licence which allow the taking of pest species to preserve public health) then the law is in your hands. Him and his motley crew were quite happy with the turnout. I was quite shocked with people eating what they described as a “Pest” or “Vermin”. Do these fools actually care about what they eat, well no seems to be the answer, what idiots! 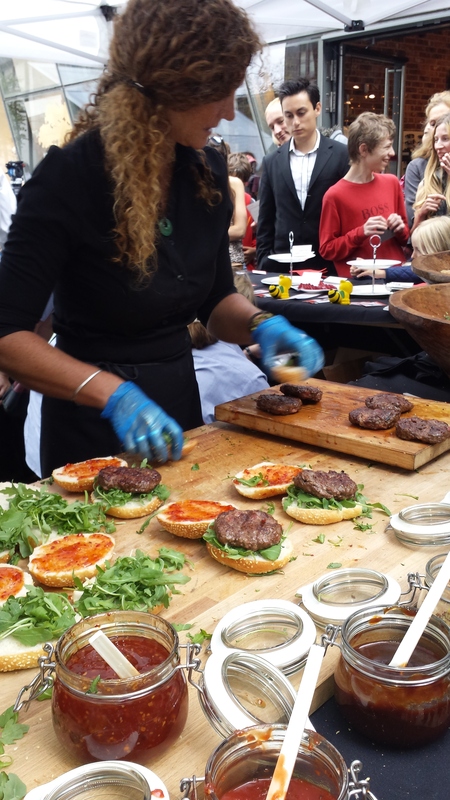 They failed to mention, it contains Venison and Bacon in the burger. 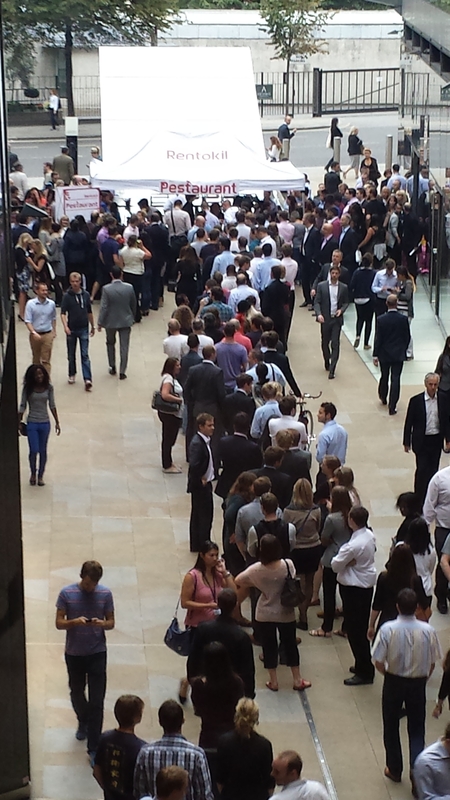 The poor sods queuing up really don’t know what they are eating. If today is successful, they plan to do a pop-up in Birmingham and Manchester, then Europe. A happy ending in a London household……. 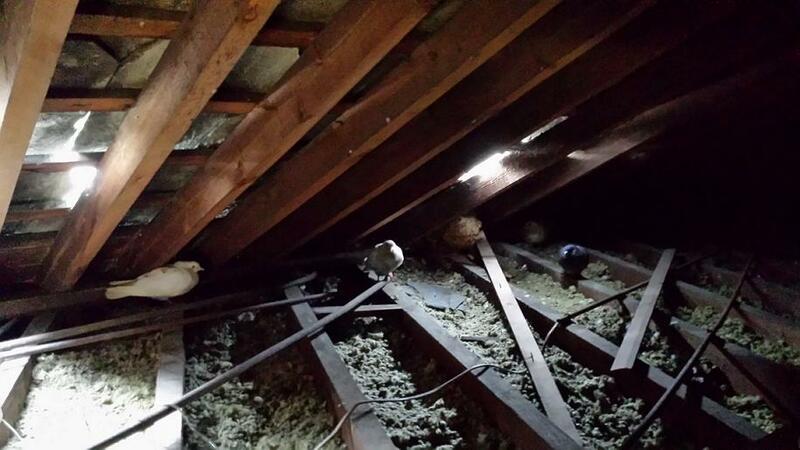 A lady called a pest control company following the discovery of pigeons nesting in her loft. Her roof had broken with missing tiles which provided access for the birds to take residence. The pest control company’s response was simple; yes of course we can clear the pigeons from your loft. How? We shoot them. The lady was alarmed with their response. She was looking for an ethical way to release the birds free, not to kill them! This was a very similar attitude to the Dirty Britain program featured on ITV a few weeks ago. The lady then googled for companies that would clear her loft of the birds ethically. This is when she came across London Wildlife Protection. This is a company run by many volunteers. I attended this loft clearing event as a volunteer. I was amazed at how easy and non-violent it was to remove these beautiful birds from the loft, together with their baby chicks and eggs. No birds nor eggs were killed. Each pigeon was easily caught unharmed. If you wanted to do a job properly, carrying the right equipment together with the knowledge on how to catch them helps, rather than taking the gun-ho cowardly attitude of a rifle. I learnt if a pigeon has a mate, they stay together for life, so the birds were released outside two by two. 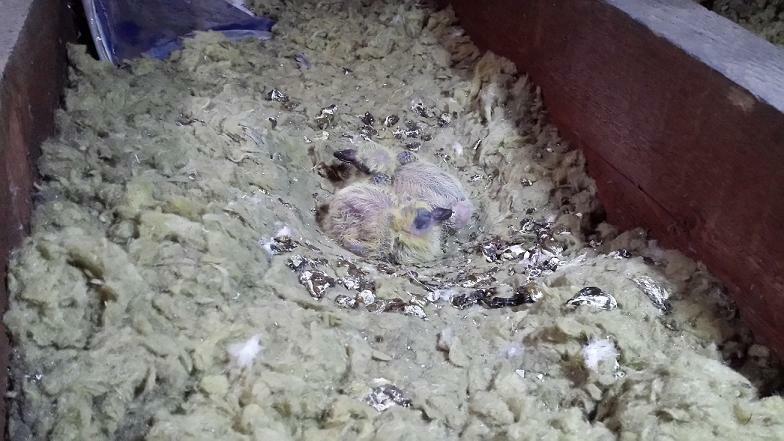 They searched the loft strip by strip and even found a couple of chicks camouflaged in the loft on top of the insulation. It took just over an hour but the loft was cleared with all precious lives intact. The roof holes where then temporarily sealed to prevent any more from coming in. The lady was very happy with the result and would definitely recommend London Wildlife Protection for any wildlife concerns in the future. This simply showed how many good-natured people are out there. Pest Control Companies are not the answer. For them, money is more important than perhaps a little more effort for the life of an innocent animal. Their approach is how quickly can we get rid of the pest so they can get onto the next money-making job. Clearing the pigeons was a simple process. If one takes time to understand how they manoeuvre and how to catch them, it takes patience but the rewards are highly satisfying. One would think as the years go on, people get wiser. The judges would have gained from experiences of past mistakes and society itself would be in a better place. But no, we are still in the dark ages. If humans make a mistake and depending on who judges your trial, you may get a stiff sentence or perhaps a suspended one. When three humans, each supposedly born with a brain and an intellect kill SIX children, their OWN children, they get 17 years in prison (to serve min half that sentence) and the ugly one, Mick, gets a life sentence (min 15 yrs). With the recent news where a dog bites a child or in the sad case of Jade Anderson, poor girl gets accidentally killed. Sentence for the Dog(s): Death Penalty. A fox enters a door which is left open (there is no proof it was a fox) and the nation goes into a frenzy that foxes are a menace, they have no predator and need to be culled. It is obvious that the ugly trio have killed, a “plan” that went wrong, why are they not destroyed? Why should we be paying for them in prison? These morons have not given anything positive to society. Yet after all this, they will walk free in a max 17 years time. Sentence for humans: 17 years max. Why is the law different for mankind(pardon the pun) and different for animals where in most cases, they haven’t killed anyone or anything. The law simply is unbelievable. Or it is just an easy target to give the ones without a voice, a death penalty. Incredible! If this was the loss of human lives this would have made big time news. The pain suffered must have been intense, sad, very sad! Thanks to the humans who cramped them in a little shelter where they could not escape or run free. Why would you want them to escape, ah yes, hits your profit margin. Well, they have died in vain, the pain caused must have been horrific that words cannot even describe. If only 900 farmers were trapped in with them, 900 less animal murderers would be less on this beautiful planet that doesnt need these excuse for humans. I was in Richmond Park two weeks ago where I saw the “Deer Cull” sign. Sad really, when considering most people who visit the park come to see the deer roam freely. Why do humans have to dictate the life of a species? Whether it lives or dies, whether it becomes extinct or not and whether it is worthy to live alongside humans or not. Could we not have a sensible approach such as vaccinating the deer to produce less mating behaviour and perhaps displace them as a family to other regions? I can understand they destroy the land around by grazing, but isn’t that what they eat? We buy our food from supermarkets supplied by farmers, who cultivate the land and produce more the next season, they don’t have this choice! The argument against injecting them seems to be more financially based: $1000 / £750 to dart the deer and then $10/£7.50 to actually inject the deer. Surely that’s worth it, since in years to come, the population will become more tolerable without having had any killed? Or is it a good way of saving money AND generating income by the sale of deer meat? Have you thought of how you are going to control the human population? We are running over 7 Billion and its growing per second. The projected food availability is bad for humans too in decades to come, so what about a human cull? Surely for us humans to survive, this should be high up in the list to sort ? So, let’s take a look at the wider picture and take care of “our” population first before we enter the territory of other species. We have rapists and serial killers and child abusers etc who get a roof over their head in prison, why? Let their footprint be erased, surely they are a disgrace to mankind. We have self inflicted obesity, alcoholics, drug addicts… surely these are a pure waste in society, shall we erase these set of people too ? This will bring down the burden on the NHS too, win win situation. I can understand the need to reduce the population of deers (and sometimes other animals) to allow other species not to become eradicated since there are no natural predators to the deer (lions, wolves..) but there has to be a humane way, not simply shoot to kill. When it comes to animals, why is the death penalty always the answer? You can ignore the input from the RSPCA since they kill animals themselves when there’s no reason to. Well Trevor, you sad sad man, how can you actually have a smile on your face with dead beings around you? Thinking of the money you made for the Forestry Commission? You sad old fool. Sometimes one has to think re attacks on children and the blame culture. What or Who could have injured the child ? … and then it becomes too easy to blame something else ? I am bit sceptical with this poor 4 week old baby being bitten story. The baby definitely looks injured with bites/scratches on his poor face. But what puzzles me, with the recent drop in temperature and with a young born baby in the house, who on earth would keep the back door open ? Something does not add up…. With the past events, its easy to blame the fox. Then sadly everyone (esp parents) go on the bandwagon to protect their children and agree, foxes should be culled. I think not. You have more to fear from humans than these beautiful creatures. Credit goes to a father and daughter who took in the fox and raised it from birth. Looking at the pictures, its trained just like a dog. It’s had full run in their bar and guess what, no one has been injured. But yet because of a “customer complaint”, the pub owners will now heed precaution.